The Desinature collection will be on display at Pulse, Earl’s Court 2, London on 12-14 May 2013. Please come and see our products on stand LP10. Pulse is a leading summer event in the design-led home and gift markets that enables you to source products from a mix of new and established brands. 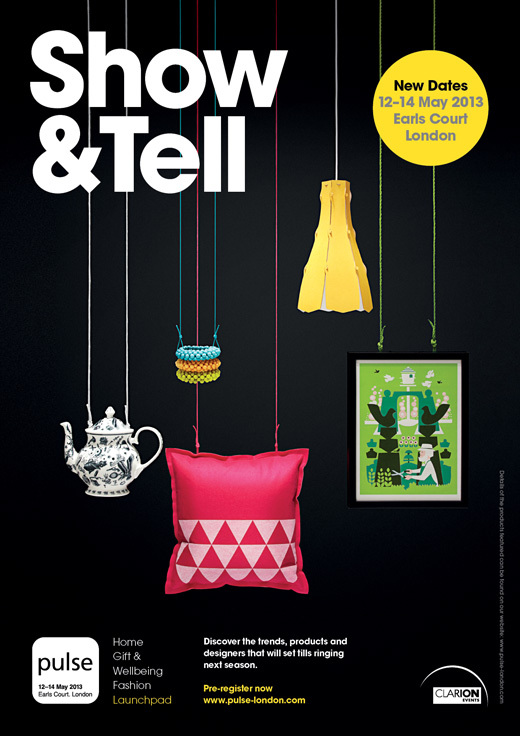 A big thank you to the Pulse team for featuring our yellow Lily lampshade in the show promotion. You can see Pulse’s website here.